Over the past 10 weeks of trialling the Wim Hof Method I have surprised myself. Headstands, 5-minute breath-holds, cold showers, and bizarre looking yoga moves have all formed part of my daily repertoire. However, what I have been marvelled by the most isn’t my body’s ability to complete these tasks, but more so a noticeable change in my physiology, courtesy of the Wim Hof Method. 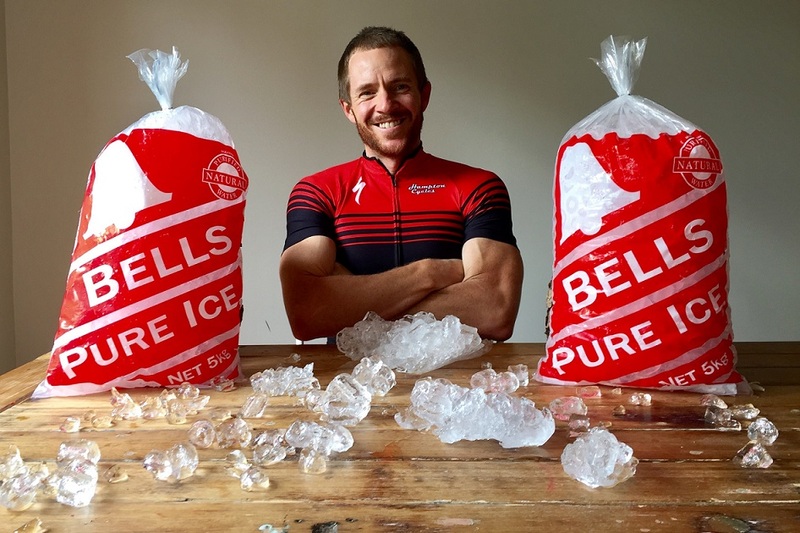 My initial motivation to trial the Wim Hof Method was to find out if it could improve my cycling performance. Due to unprecedented travel commitments in February, followed by some sickness, I was unable to maintain the training required to truly benchmark my peak fitness levels using a well-regarded test called “the step test”. However, I was still able to do some riding during this time-challenging period of February and March (including a couple of criterium races in March) enabling me to provide an informed perspective on changes in my physiology on and off the bike over the past 10 weeks. In addition, my peripheral motivations related to athletic performance – such as stress management, sleep, diet and energy – are all areas I can provide context on post completing the Wim Hof Method. Breathing exercises are the cornerstone of the Wim Hof 10-week program. This involves 30 deep inhalations followed by a period without a breath, repeated across multiple rounds. The science behind these breathing exercises gets technical rather quickly. In fact, I spent a number of hours researching the science with a goal of being able to break down the effects in layman’s terms. At about week four of this 10-week program you start doing a max push-up effort on empty lungs (doing push ups without breathing, having emptied your lungs beforehand). At week four I could get to just over forty push-ups before needing to stop. By week 10 I got to mid sixties each time, with my personal record being 74 push-ups on empty lungs. The breathing exercises in combination with physical activity demonstrate an ability for the body to condition itself, becoming efficient with ATP production. ATP is the high-energy molecule that stores the energy we need to do just about everything we do on a day-to-day basis, including intense exercise. By pouring unprecedented amounts of oxygen into your cells via heavy breathing exercises, you inadvertently decrease the amount of CO2 (Carbon Dioxide) in the blood. With your blood more alkaline, your muscles become supercharged, leading to a higher output than usual. By repeating this process every day, your cells become “conditioned” to deliver more energy to working muscles, and thus, an improvement in cardiovascular health can be achieved. The two criterium bike races (i.e. sixty minutes of aerobic activity with many anaerobic bursts) I participated in and the weekly bunch rides I did during the 10-week period were my benchmarks for assessing these benefits. The biggest improvement I noticed from engaging in the Wim Hof Method was in my breathing and heart rate. Before my Wim Hof trial I would often max out by my heart rate redlining or there would be a lactic build up in the muscles, not allowing me to continue at the same power output. During my Wim Hof trial however, I don’t recall one instance where I reached my max heart rate or became out of breath before lactic build up in the muscle resulted in redlining. This would suggest an improvement in cardiovascular ability but unfortunately there’s no remedy outside of training to condition the working muscles to endure a solid A grade criterium. I am eager to test this more profoundly, but we’ll have to wait until the next criterium season begins, in October 2017. If you read my previous post on the Wim Hof Method you will see a number of bold statements that are proposed to be positive side effects of Wim’s Method. While “super human strength” wasn’t something that I necessarily achieved, I did sleep deeper than I can ever remember. I felt super-charged and full of energy most days of the week and managed to keep my weight down without even thinking about it. So how did this happen? I was a little stuck about how I could articulate myself here so I’ve literally gone outside to do the Wim Hof Method for about 20 minutes and returned to my laptop, and now I’m inspired to type! Having tried meditation in the past without consistent success, I now feel I’ve found something I can maintain on a weekly basis for the rest of my life. Meditation has become a mainstream activity in recent years with its proven positive effects on people suffering from stress, depression, anxiety and other related health disorders. I think it’s fair to say that many of us will suffer from at least one of these issues at some stage in our lives. With technology overload and a mountain of life possibilities to consider it’s no wonder people need a way to disconnect. While physical activity and riding my bike have always been therapeutic remedies for me, I still find my mind racing in the evenings, interrupting my sleep pattern and impacting my normal rate of breathing, ultimately increasing the level of CO2 and toxicity in the body at night. Here’s how things have turned around for me. Most days I would perform the Wim Hof exercises in the evening after dinnertime. It’s advised that you don’t do the exercises on an empty stomach, and from my own personal experience I would strongly agree with this recommendation. While I was able to hold my breath for significantly longer periods, I was close to fainting on a few occasions when I did Wim’s exercises before eating! So be careful here. I think it’s a given that if you’re going to spend 20 minutes in a meditative state most evenings before bedtime you’re likely to sleep better. Disconnecting from the world and life’s logistical conundrums for small periods seems logical and there’s plenty of evidence to suggest it’s worthwhile. For me, mediation is boring though. I understand you’re supposed to drift off into a different mental state, but after months of trying I gave it up. Wim’s method is far from boring and it’s slightly physical too. You count through the breathing exercises and when you go into breath hold mode you get a euphoric feeling, because of the high levels of oxygen pumping through your system. I experienced light-headedness, tingling, vibration through the fingers and a complete disconnect from the outside world. After the rounds of breathing exercises you do some stretching followed by yoga-like moves. I was interested to watch Wim show each move and propose that “now you go and do it”. 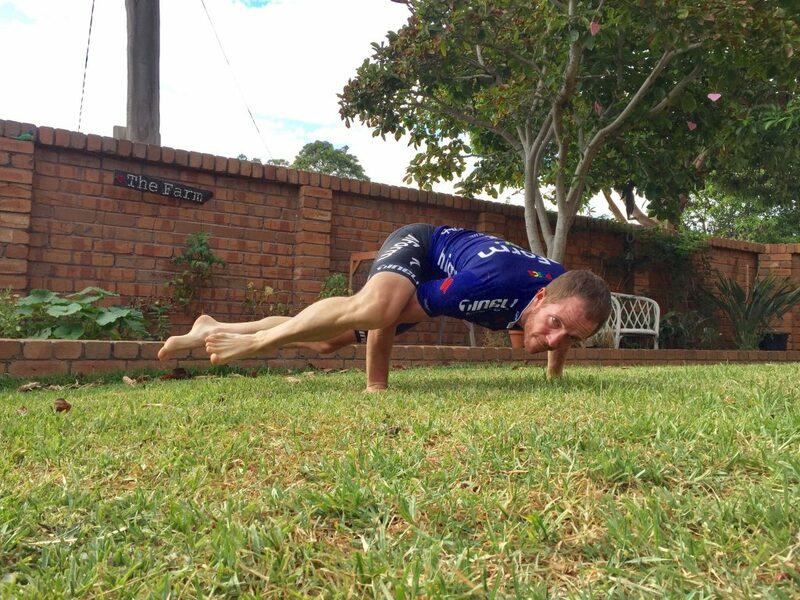 At first I thought “how will I ever do a headstand and there’s no way I’ll do a plank”, but the confidence that Wim instils in you each week via his video lessons is uniquely marvellous. He constantly says “you can do this” and there’s something about his look and articulation that fills you with confidence. You also blend in some slight mediation at the end of each exercise regime. Some weeks it was five minutes, and other weeks ten minutes. I could never reach “the light” that Wim talked about but I enjoyed sitting still and closing my eyes disconnecting from the world post the breathing, stretching and yoga move session. At the end of each evening I felt great. I had disconnected from the world and pumped myself full of oxygen, giving me a euphoric feeling! For me, that’s a lot more compelling than sitting for 20 minutes and trying the traditional meditation methods. The net result I gained from these exercises was a lot less stress. No longer would I go to bed with my mind racing, nor would I wake up in the middle of the night thinking about work, life or whatever else. In addition to the exercises mentioned above, headstands are another part of the Wim Hof Method. Headstands provide an opportunity to flush fresh nutrients and oxygenated blood directly into the head. You would typically do a headstand post breathing exercises, when the level of alkalinity in the blood is high. You’re ultimately providing refreshed blood to essential glands in the head that regulate many other glands throughout the body. The headstands in combination with the breathing exercises not only attributed to better sleep, they put me in a much better position to make some big life decisions. For example, I have been working in a rather unfulfilling job for a number of years while trying to build the Bike Chaser business on the side. Three weeks ago I resigned from my corporate job, and the decision was easy with a clear mental state. On top of that, I’ve been living in a house with beige salmon walls for over 2 years (why on earth was that colour popular in the 1970s and 1980s?). Recently I picked up the paintbrush and have now painted over half of our four-bedroom house. For some reason I found the motivation and I’ve had the focus to keep pushing through each weekend. White walls have been life changing for the entire family! My six-year-old keeps saying “well done daddy”. Ultimately, I feel more razor-sharp in my decision making ability. When there is less noise in your head and you’re getting a good night’s rest it’s amazing how clearly you can think. Cold showers and ice baths are definitely the attention grabbing features of the Wim Hof Method. Sharing my experiences with my Instagram and Facebook followers quickly exposed an interest that many have in the cold exposure techniques. I had a number of people tell me that they too had started taking cold showers while others asked why I would put myself through such torture. It’s important to recognise that Wim’s recommended approach is to build into the cold and not start taking full cold showers straight out of the gate. Interestingly for me, I have now conditioned myself to the cold quite well and the feeling I get after a cold shower in the morning far outweighs the challenge of taking one! 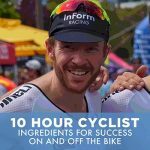 There are many health benefits I have learned and experienced from this 10-week course, outside of the exhilarating feeling I get from the cold showers. When taking a cold shower, the metabolic rate during and after is increased to keep the body warm. So essentially you’re burning more energy by simply not turning on the hot tap! In addition, the immune system is activated, resulting in the release of more white blood cells. White blood cells are immune system warriors that fight infectious disease and foreign invaders. Consistent exposure to the cold has also proven to enhance the level of brown fat in the body. Don’t confuse brown fat with white fat – the fat that is the result of over-eating and poor lifestyle choices. When we are born, we have a significant level of brown fat in the body so that we can regain heat lost within a relatively short period of time. It’s sort of a defensive mechanism when you’ve just entered the world. This fat layer – which isn’t so much a layer but more of a cellular framework that is dispersed in unusual places throughout the body – releases energy in order to generate heat when required. The build-up of brown fat inside you optimizes your own internal heating capability but also requires a source of energy consumption to facilitate this complex task. It has been proven in studies that brown fat can be stimulated to use the highest amounts of glucose per gram, helping to control blood sugar levels in the body. It’s taking calories to produce heat while robbing other fat cells of the same, thus reducing or stopping fat accumulation. The net result of cold showers for me has been staying lean without thinking about it. After reading about the benefits of intermittent fasting, I have recently tried this over the past six to eight months with limited success. While I haven’t so much been fasting during my Wim Hof Method experiment I have noticed that I am really only having two main meals a day. Quite often I am not hungry in the morning so I won’t eat breakfast. If I have breakfast I may only have a piece of fruit for lunch. This is not a forced measure by any means; it has merely flowed organically from my changes in physiology. This time of year my body weight would normally be floating around 80 kilograms. I am only exercising two to three times per week and the rides I am going on are 40 to 50 kilometres in length or 60 to 90 minutes. In peak fitness, when I’m riding four to five times per week and doing 300+ kilometres on the bike, I am around 77 kilograms if I weigh myself before breakfast. As I write this, I am 76.4 kilograms and it’s 4:30 in the afternoon. Due to family genetics, I have been dealing with chronic sinusitis for almost two years. Sinusitis is essentially caused by inflammation in the nasal cavity, causing constant pain and discomfort. My personal belief is that it’s caused by my diet such as when I am eating dairy, gluten or drinking alcohol. The foods are known for causing inflammation in the body, yet I consume these on a weekly basis. I was quite intrigued about this unexpected outcome of the 10-week course. Two to three weeks into the program I noticed that my sinus pain – which had become a constant day-to-day battle – had subsided a lot. In fact, at times (for days on end) it was completely gone. How could this be? I’ve seen doctors, taken antibiotics, used multiple nasal sprays and was on the verge of getting some serious specialist treatment on the matter. Following the course I emailed the people who run Wim’s course to get a clear understanding of why this had occurred. While there has been no specific medical research done on Wim’s methods to stop sinus issues as yet, the breathing exercises and cold therapy release cortisol and adrenaline into the system on a daily basis, which are known for their anti-inflammatory effects on the body. It seems to me that this is no coincidence, and I’m extremely thankful because it’s truly life changing. As I start approaching forty years of age, I feel that I know when something will stick with me for the rest of my life. Recently, I attempted to do the Paleo diet in its strictest form for a four-month period. While I was unable to maintain that style of diet for good, plenty of its attributes rubbed off on me. My diet is now predominately Paleo like, although I still can’t resist certain types of gluten, such as pizza and pasta! Yet my consumption of that type of food is now in moderation as I appreciate the positive side effects of clean eating. I believe a similar scenario will now unfold with the Wim Hof Method. I can’t see myself maintaining the same level of commitment as I did over the past ten weeks, however I am certain I will maintain the breathing exercises at least three times per week, and for now, I can see myself having cold showers every single day, although that may subside a little in the depths of winter. Now that I am educated about Wim’s methods and have experienced the positive outcomes first hand, I know that life would not be as great without the Wim Hof Method. So why go back? Is Your Local Bike Shop a Lower Cost Option than Buying Online? Really interested in this. Thank you for sharing. Great article. I am on Week 8 of the programs. Haven’t notice much change in my computing rides but feels good overall. Hi Son, thank you for the comment. Much appreciated. I assume you may have finished the course by now, how did it end up for you? This method really became my way of living!! I get up every morning in 4:30 a.m. and begin with the Wim Hof’s method and for my 54 years of age I feel amazing !!!! I totally agree with the writen above!!! Hi Emil, thank you for the comment on the article. We really appreciate it. Love hearing others tell their tail of the WHM! Great article and well articulated. I’ve been doing the WHM for about 4 months now and it has revolutionised my life. I feel full of energy, maintain weight without much effort, feel a mental clarity and most importantly for me have felt my levels of depression subside dramatically. I do 3 x’s 30 breaths in the morning followed by 10 minutes of guided motivational meditation, followed by 3 minutes cold shower and it really sets me up for the day. If I feel fatigue during the day or have a stressful experience, I will do 2 x’s 30 breaths – it’s like finding one of those energy boosts in a video game. From a medical perspective I was fascinated about your sinusitis comment. I have heard of 2 examples of people saying they have overcome the regular mouth ulcers they used to experience (I think this relates to ulcers thriving in acidic conditions and the breathing moves the body to an alkaline state). I have also reduced my thyroid medication and still feel good (brain-fog free) – not sure of the medical influences of the breathing here – but look forward to further research on the Wim Hof Method. Hi Jason, sorry for the late response. This one slipped through my sight. Appreciate you sharing your experiences and great to hear you’ve had positive results with Wim. He is a legend! All the very best. hi our article ia very informative. i have a ques can women do wim hof method, cold shower and headstand during periods ? hi your article is very informative . i have a ques can women do wim hof method, cold shower and headstand during periods?